Narberal is a member of the "Pleiades Six Stars," the battle maid squad of the Great Tomb of Nazarick. Like many others in Nazarick, Narberal views humans as low-class creatures. The only human exempt from her contempt is the lastborn of Pleiades. Though she does not particularly enjoy killing humans, she will not hesitate to do so if there's no reason to let them live. This nature makes her one of the two, along with Solution Epsilon, "extremely dangerous" Pleiades. As a created NPC of Nazarick, she is extremely loyal to Momonga and proud of her quest to support him close by. Nevertheless, she does not understand Momonga's purpose to become a hero very well, so she does not hide her aggressive attitude towards humans and often refers to Momonga's alias Ainz with "-sama," even when the two masquerade as adventurers. 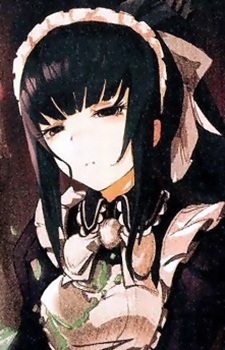 In the web novel version, Narberal is also a doppelganger, though she used illusion magic to become the adventurer named Momon. Also in that version, she was created by Nishikienrai.